You don't need to spend a fortune to enjoy the downtown Sarasota condo lifestyle. Do you dream of a lifestyle where your car is rarely needed? Want to walk just a few steps from your condo to meet friends for dinner, see a show or do some shopping? This partially remodeled bank owned condo might be perfect for you. This end unit, 2 bedroom, 2 bathroom unit on the 5th floor offers a peaceful view in a million dollar location. Enjoy a sunset cocktail with your family or friends on the extra large pool deck overlooking Marina Jacks. 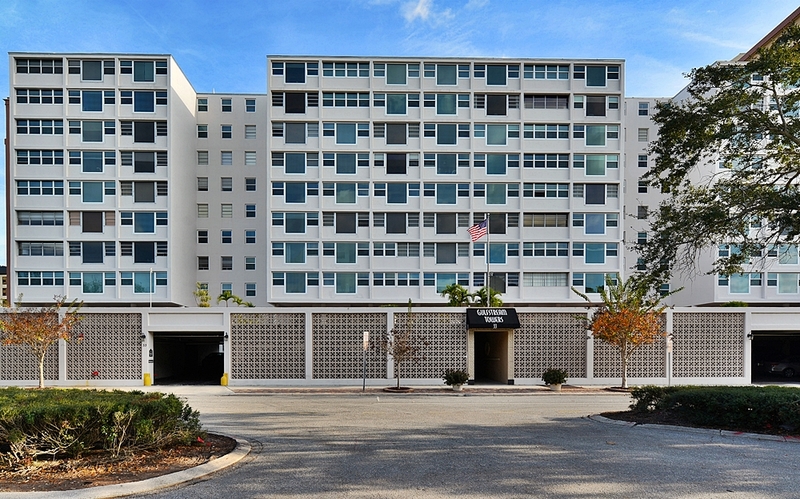 Gulfstream Towers amenities have recently been renovated making the building feel young and vibrant! Building amenities include full kitchen, lounge, gym, library and additional private storage rooms. The property is maintained and run by a full onsite management team.